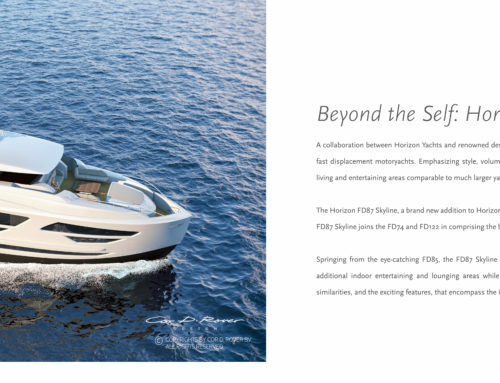 For the new F430, the flybridge concept has been implemented to meet the highest standards in design, functionality and materials. 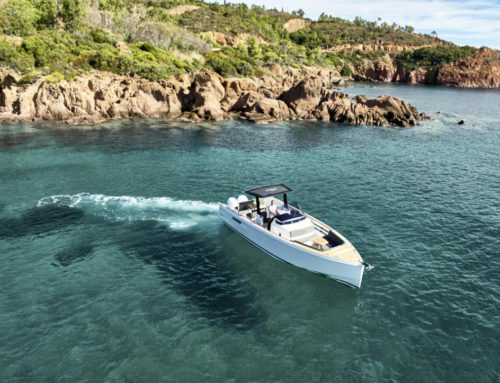 Across its nearly 14 sqm, the new flybridge offers a dining area with seating for six people and an all-in-one gourmet wetbar featuring a barbecue, sink and lighting. Guests can enjoy the view over the water to its fullest from two double seats in the front area of the flybridge. 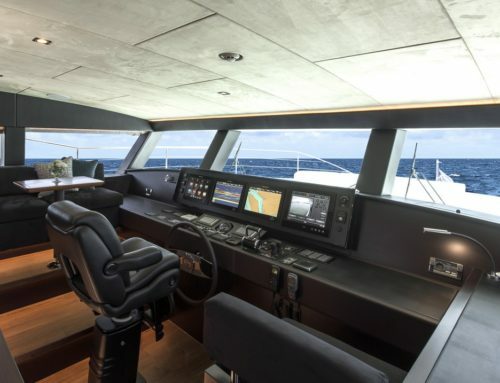 The seat at the backboard can be positioned in any preferred direction thanks to a swivel backrest, and together with an additional cushion, can be turned into a large sun lounge next to the helm. Two fridges can be integrated into the seats to keep drinks cool even on long summer days. Another highlight of the backrest at the backboard is that it can be swivelled to turn the passenger seat into a lounge sofa at the flick of a wrist – for a breath-taking view astern. 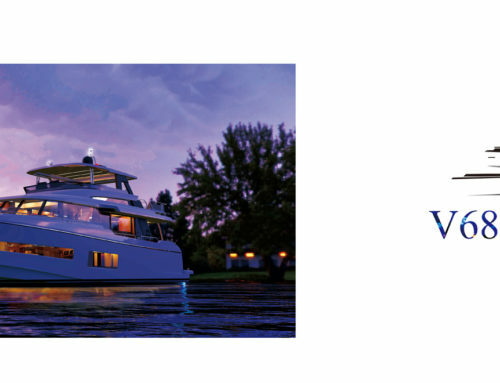 The Sealine F430 is equipped with two IPS 400 engines from the industry-leader Volva Penta as standard. 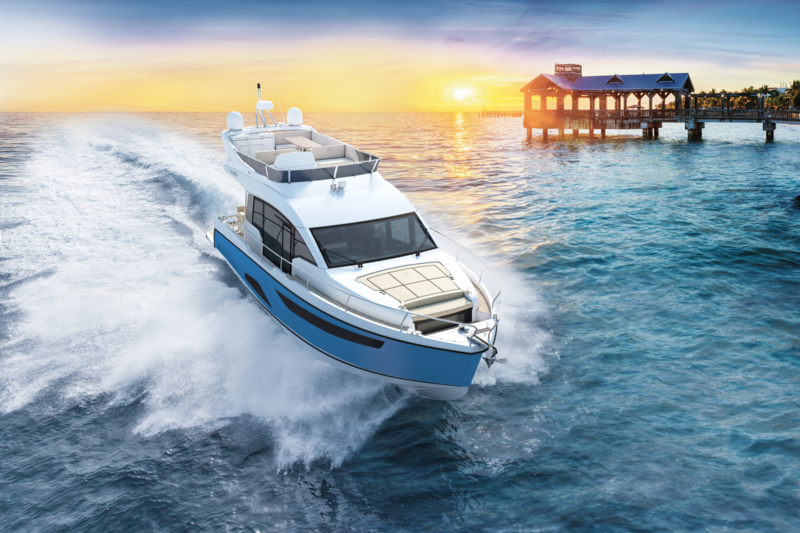 With the connected joystick controller, the yacht can be easily manoeuvred in any situation; gliding into any slip is child’s play. 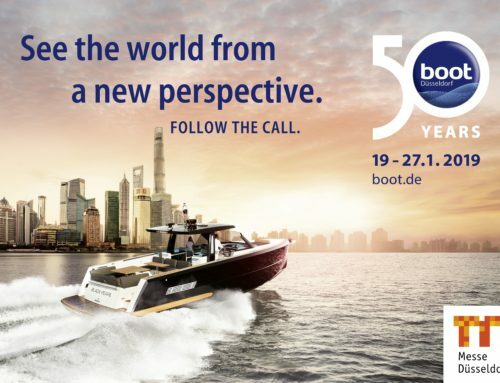 Above all, the helm on the flybridge offers an optimal, all-round overview. Thanks to the perfectly positioned joystick and steps, the helmsman can keep an eye on the end of the bathing platform at all times.